New Best Hikes and Walks in Ontario by Katherine Jacob helps travelers navigate Ontario’s major walking and hiking trails. TORONTO – April 30, 2013 – Now readers can easily explore the best walks and hikes in Ontario with the new Best hikes and Walks in Ontario Guide. The best walks and hikes in Ontario will help guide readers through Ontario’s best trails, from an old growth forest to one of the largest urban wilderness parks in Canada. Written by best-selling author and travel writer, Katherine Jacob, who has immersed herself in the natural world for decades, you’ll find the best outdoor experiences shared with her enthusiasm and practical advice. 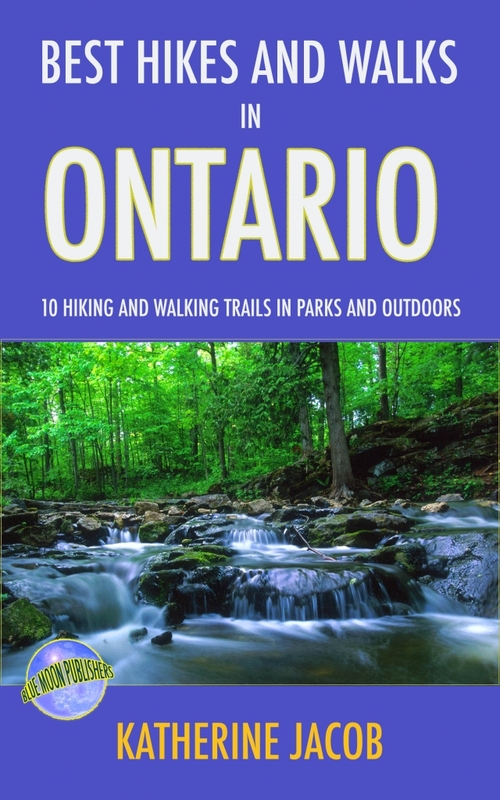 Readers can download Best Hikes and Walks in Ontario from Amazon’s Kindle store for $2.99. Best-selling author and travel writer, Katherine Jacob, has travelled worldwide, from trekking to Machu Picchu to visiting historical cities such Florence, Italy. Proceeds from her best-selling guidebook series have supported environmental, conservation and charity projects. Her current series of books are supporting literacy. At Blue Moon Publishers, we publish fiction and non-fiction, from best-selling authors such as Katherine Jacob under our Blue Moon Guides imprint.